Instead of the Walsh Cup final being played on Sunday at 2pm as originally planned, the Walsh Cup final will now take place on Saturday (2pm) in Nowlan Park. Reigning champions Kilkenny will face neighbours Wexford in a game full of expectation after last years’ exciting ties. Although the change of date vented some anger online, the reason behind it is to facilitate for players also competing in the Fitzgibbon Cup colleges competition on Sunday. Wexford made the approach to Kilkenny, but the change of date also suited the Cats. Along with freeing up players for the Fitzgibbon Cup on Sunday, Saturday’s clash also means that other players will be afforded an extra day of recovery ahead of the fastly approaching National Hurling League. The Walsh Cup final on Saturday will be the first of at least three between the sides for the calendar year – and it’ll be the first of Wexford’s three trips to Kilkenny’s home soil. After Saturday, they’ll travel to Kilkenny again for the National Hurling League and the new-style Leinster Championship. 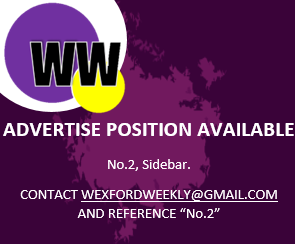 In 2017, the Wexford Senior hurlers played Kilkenny twice- once in the National League Quarter-final in Nowlan Park and then again, in the Leinster Championship in Wexford Park. After a disappointing 2017, Brian Cody will be one man who’ll want to get Kilkenny’s year off to a winning start. And beating Wexford, the team who knocked them out of the Championship last year and attaining silverware at the one time will be the perfect start to 2018. So far this year, both Kilkenny and Wexford have named strong sides in the Walsh Cup competition – and expect nothing less on Saturday according to the Kilkenny People. As both of the sides will want to lay down a marker and both teams will want silverware, Saturday has the makings of an intriguing encounter.